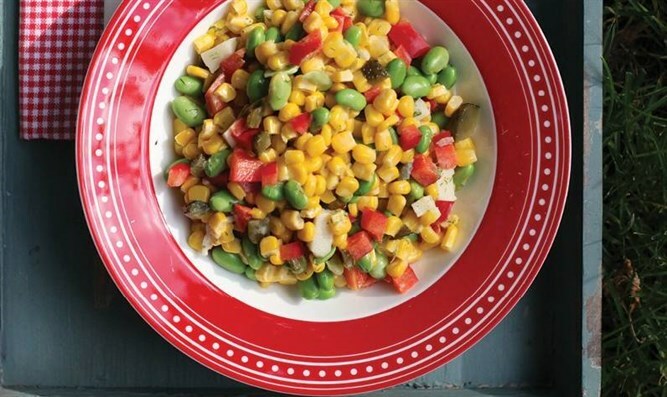 Fresh flavors of summer and bright colors make this salad a real testimony to the season. Lower heat and add the corn and edamame beans and cook for five minutes. Mix all the ingredients for the dressing and add to the salad.